You are here: Home / Bankruptcy Attorney / Wage Garnishment / How To Stop A Wage Garnishment? How To Stop A Wage Garnishment? 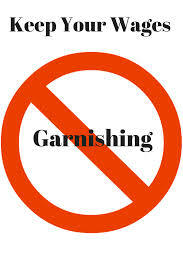 There are several ways to stop a wage garnishment. One of the ways that I deal with on a daily basis is by filing chapter 7 or chapter 13 bankruptcy for individuals and families struggling with debt. Chapter 7 bankruptcy filing involves the creation of an automatic stay. The automatic stay prohibits collection activities after your case is filed. There are some exceptions to the automatic stay, however most collection efforts have to cease. Once you file a chapter 7 bankruptcy, your attorney will send a notice to your employer advising them or instructing them to stop taking deductions out. Your bankruptcy attorney may also fax proof of filing to the creditor so that they are aware that there should be no further deductions from your wages. The same is true for chapter 13 bankruptcy. The filing of the chapter 13 bankruptcy case creates the automatic stay. The automatic stay is then faxed over to your employer as well as to the creditor who is doing the garnishing. The main difference with chapter 13 is that the creditor will have an opportunity to file a proof of claim to be part of the payout over the next 3 to 5 years. The amount of the payout could range anywhere from 10% to 100% depending upon the particular facts of the case. However, the actual deduction from the paycheck will stop in that there will be no further court ordered garnishment. The key to both of these cases is to file quickly. The creditor is entitled to any amount that was withheld or deducted prior to the case being filed. In fact, some creditors are insisting on a per diem basis in that they want to be paid the number of days during the pay period up until the time of the bankruptcy filing. For this reason, bankruptcy attorneys need to move quickly once the client has all the pre-filing requirements satisfied. There is nothing worse than delaying the filing only to see more deductions come out of your clients wages. That is a surefire way to have an unhappy client. It doesn’t matter that the client sat on things for months or years. Once they are actually ready to file and have complied with all the pre-filing requirements, you as the attorney must move in an expeditious and efficient manner. If you are in fear of having your wages garnished or if you currently are being garnished, you may contact my office at 847-520-8100. The consultation is always free and we will lay out whichever chapter is best for you based upon your particular facts.